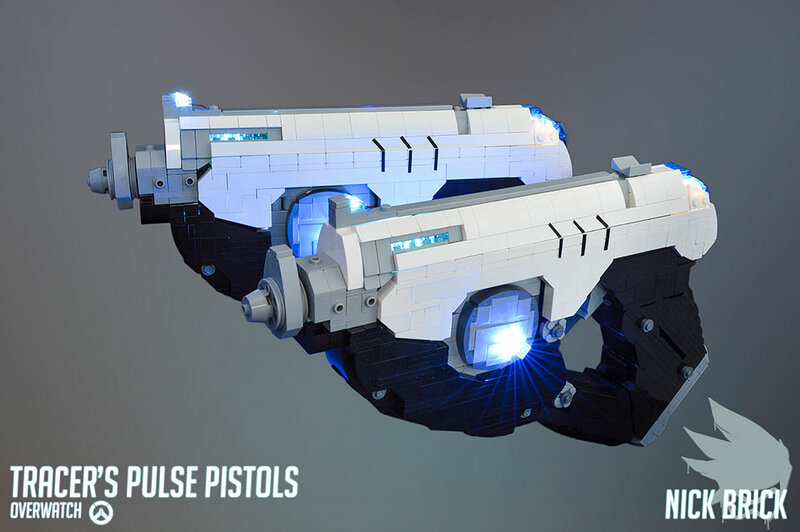 A LEGO fanatic calling himself Nick Brick has taken Tracer’s pulse pistols right off the screen of Overwatch and made them into LEGO brick sculptures. 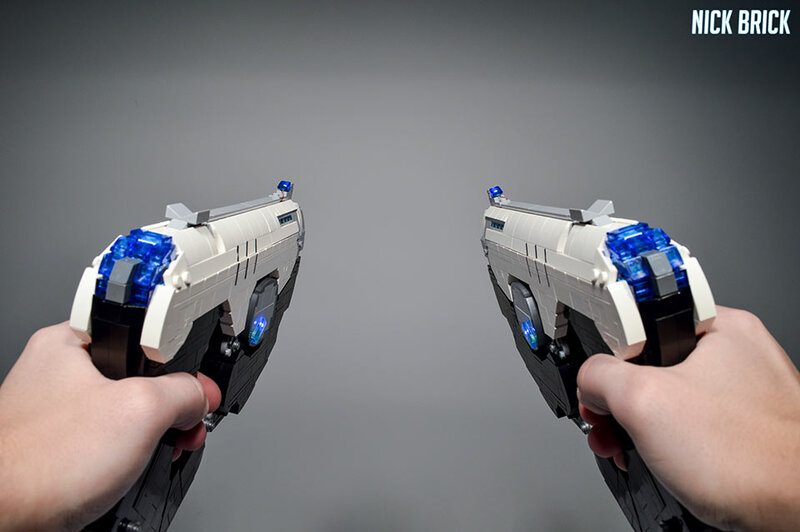 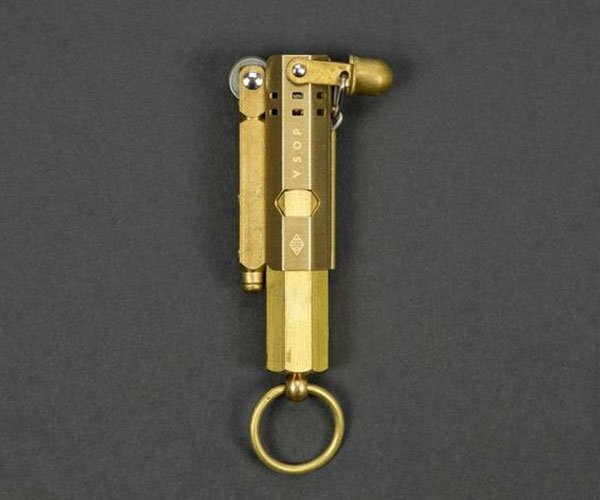 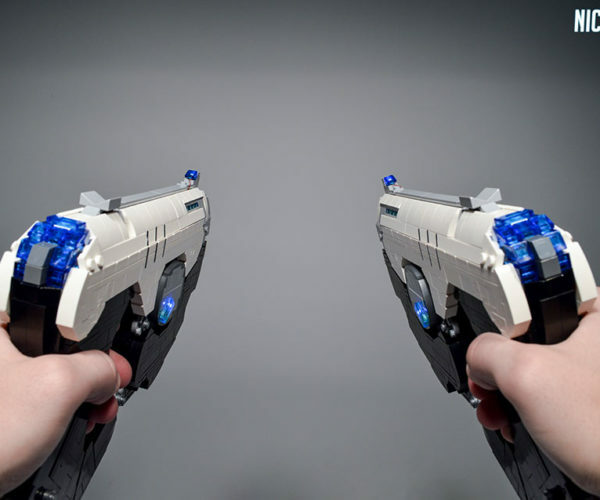 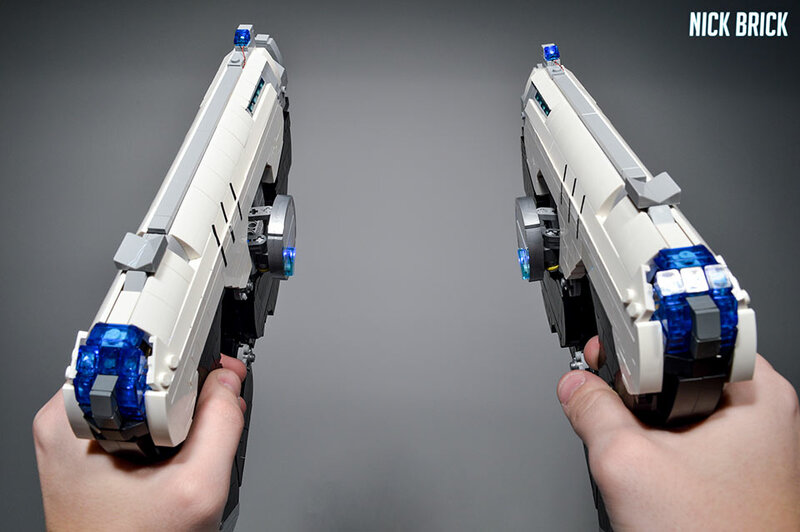 The builds are very cool and look very much like the pistols Tracer uses in the game. 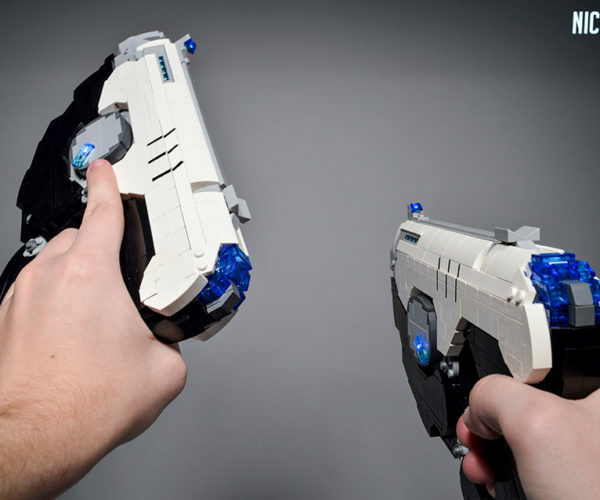 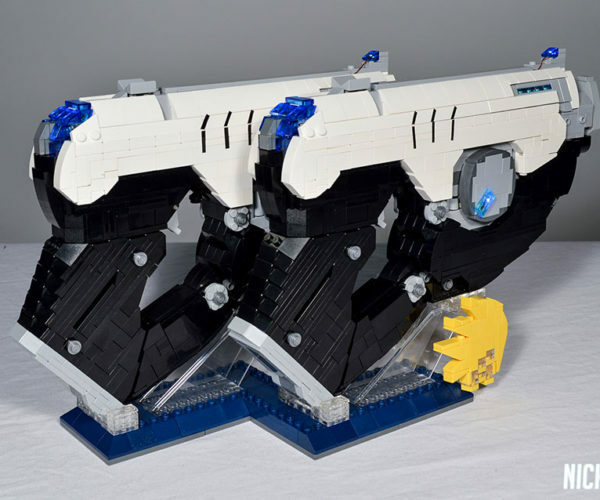 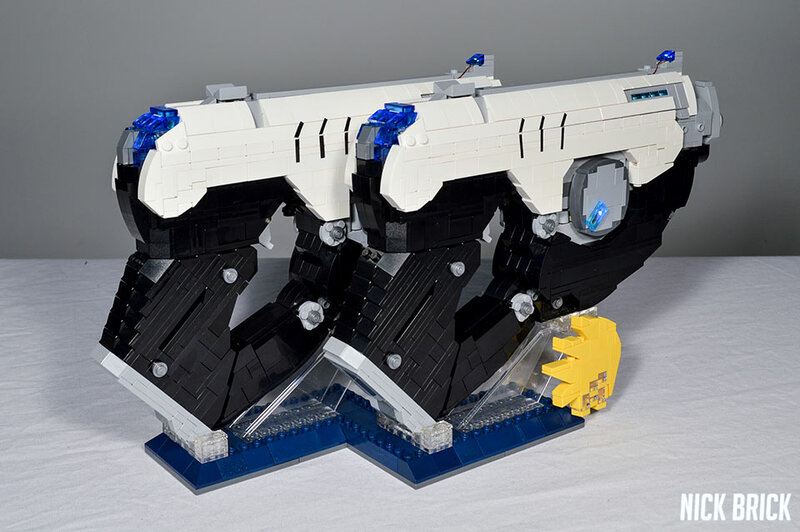 Each of the pistols has 1063 LEGO bricks in the build for a total of 2126 bricks for both pistols. 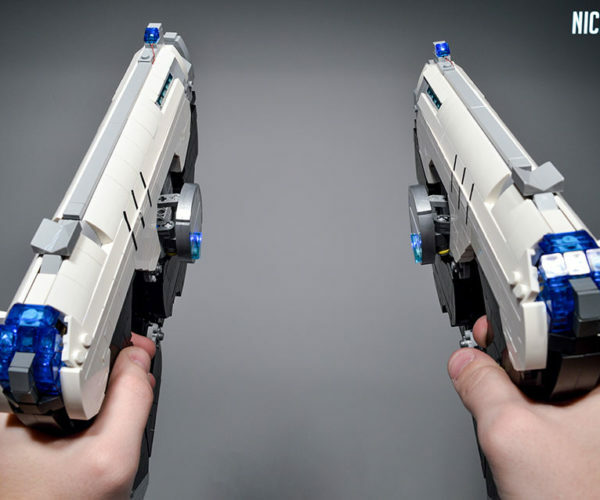 The pistols both have a working reload mechanism which makes the side discs expand outward. 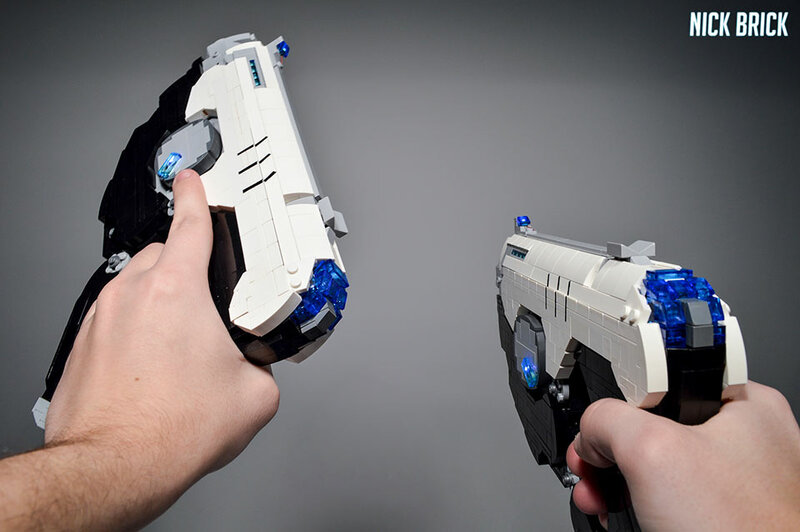 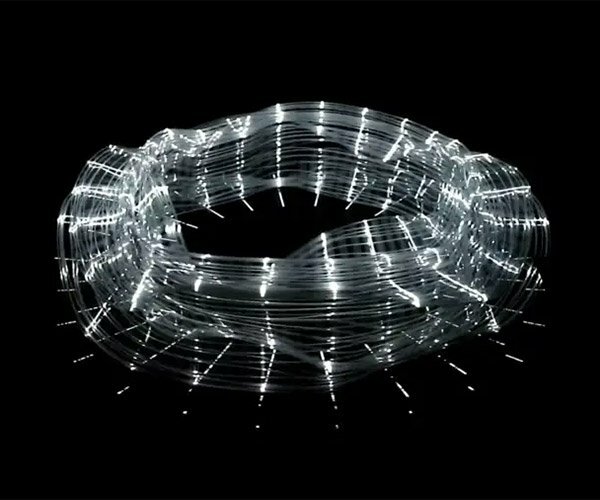 The nifty glowing design is thanks to some BrickStuff LEDs. 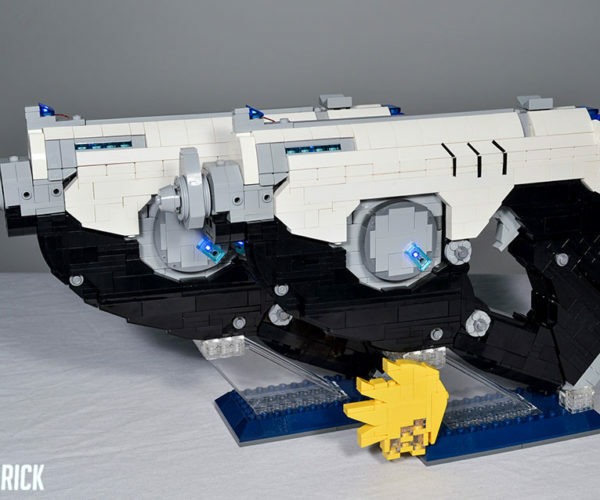 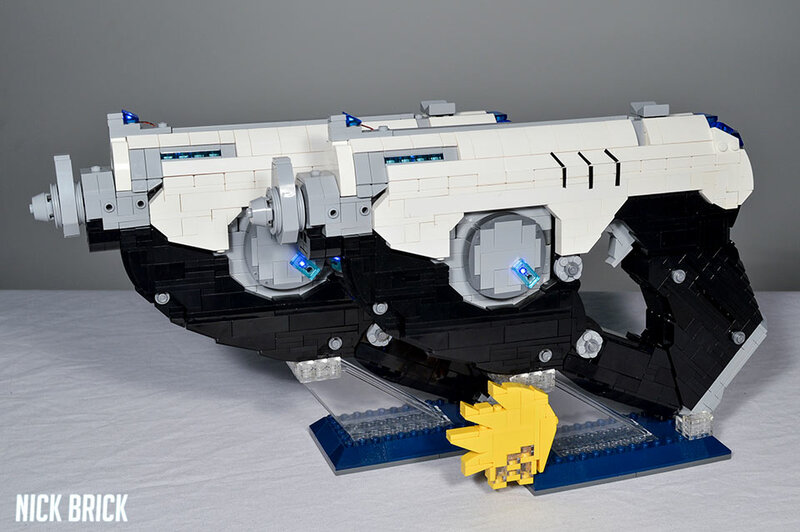 Be sure to check out Nick Brick’s Flickr page for a bunch of other cool LEGO builds.